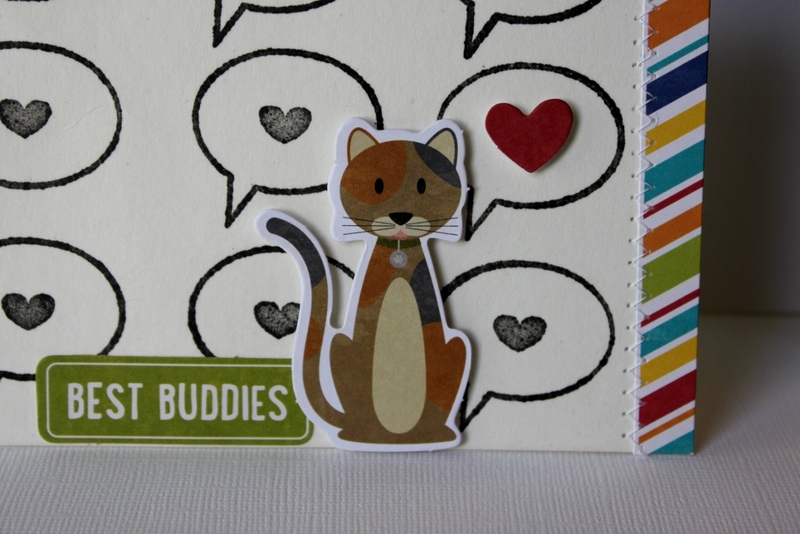 What could be cuter than a calico cat card? Not much, check out this card made with the brand new Jillibean Soup Fur Fusion paper and Pea Pods overlapping a clear stamp set word bubble background. 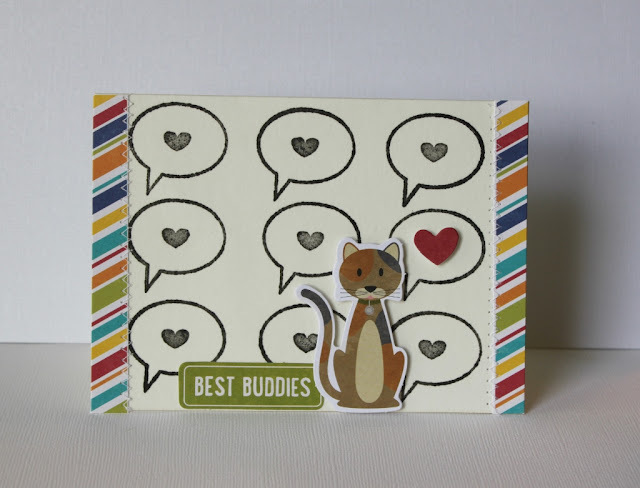 A real quick and easy card using black ink and the word bubble stamp I stamped the background. It helps to use a measurement mat behind your card and a acrylic block with lines on it to align the images. Next I cut border strips for the sides and sewed them on. Last I added the sweet Pea Pod cut-outs from the new Fur Fusion collection as shown.